Today we are launching Verified Licenses to apply top legal expertise to our most visible license summaries. This means summary with a icon has been reviewed by a top lawyer/expert. It's important to us that people can trust the summaries they read on TLDRLegal. Some of today's most popular licenses are vague, outdated and open to interpretation. Choosing how to represent them is critical, and at this time, there's no stronger opinion than from the people that have originally written and litigated these licenses. This is why over the past few months, TLDRLegal has been working with experts like Heather Meeker, one of the original and most respected license authors/litigatiors, to revise our top summaries. Heather is our main contributor to our summary review process and a top lawyer and author on Open Source Licenses. Her experience includes being on the core team for drafting the Mozilla Public License 2.0, litigation experience with the GPL & LGPL, and counsel for the Mozilla Foundation and others. 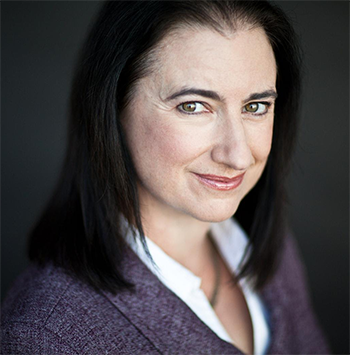 Official Bio: Heather Meeker is a partner at O’Melveny & Myers, an international law firm based in California. She advises clients on technology matters, including licensing and collaboration arrangements, software copyright and patent issues, and investments, mergers and acquisitions. She is an internationally-known specialist in open source software licensing and author of the book “Open Source For Business,” a handbook for engineers, businesspersons and lawyers who want to understand the use of open source software in private enterprise. When adding a more formal review to a summary, our goal is to be as accurate as possible while making sure we preserve simplicity and practical usefulness. When summaries on TLDRLegal get popular or significant enough, we'll point our top and most credentialed community members towards making sure the summary is detailed enough but without comprimising our goal. If you find that if any of our verified summaries are wordy or unclear, submit a change on the license page or contact us! As a reminder, by adding a "verified" badge, we're not guaranteeing the legal viability of our summaries, but instead a level of quality as defined above. If you find a license that you'd like to submit to the review process, please email kevin@tldrlegal.com. DISCLAIMER: The Practical License Summaries are for informational purposes only, and do not constitute legal advice, or create an attorney-client relationship between you and TLDRLegal or any of our experts. The summaries do not include every detail of every license, and some of those details may apply to you. If you have questions about how the licenses apply to you or your products, you should seek legal advice.